Every math student needs geometry homework help sometimes. If your child is feeling confused or frustrated with math, connecting him or her with the right tutor can be a game-changer. In geometry, in-person academic support is best, because geometry is about spatial relations, and that can be hard to understand on a computer. However, for a truly Internet savvy student who concentrates well and works independently, online support may work. Here's a fantastic database of verified professional one-on-one math instructors to get you started. Just type on your specific subject and zip code, and you'll be on your way to academic success today. Not all tutors are created equal. If you want the best geometry homework help, look for someone with a BA or Master’s degree in Mathematics or a related field and a year or two (minimum) experience teaching or tutoring. Of course, people with those qualifications are often teaching their own classes, so they can be a little tough to find—and you’ll have to lure yours with highly competitive fees. Don't worry, though. 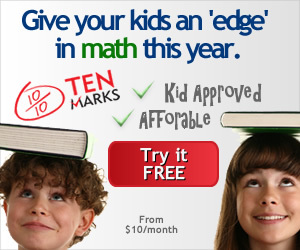 You can find good math tutors specializing in geometry when you search the listing above. This page gives my take on coping with math anxiety.